Get the latest news about events and book launches for the series. Rutherglen Primary and Secondary Schools have been creating their own literature units around the Through My Eyes texts. 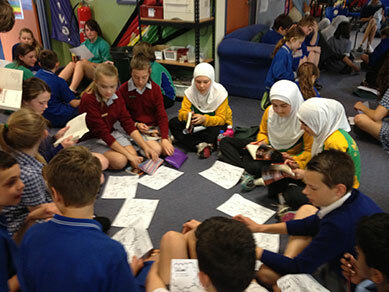 Year six students had been studying Zafir by Prue Mason and year seven’s, Hotaka and Lyla. 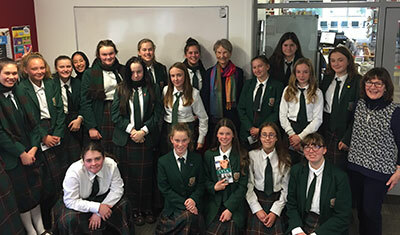 In October this year, Lyn White was invited to speak with students and teachers about both series of books. The secondary school librarian had a wonderful display of the books and the class teachers shared with Lyn the exceptional work the students had done in response to the texts. Lyn spoke about the background to each of the 10 novels, read from the texts and totally inspired the young readers. Lyn received amazing feedback from the teachers and students who are already preparing to study Angel next year. Lyn’s presentation was excellent and our students were engrossed. She was able to balance her talk with the obvious experience of a former teacher with a finely tuned feel for the audience. Her questions, her slides, her background to each of the books in the series, the details about authors and their experiences, and her role in the creation of each of the books was fascinating. 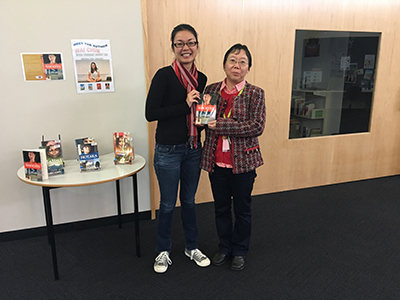 Lyn gave away two copies of the latest book Angel to two students who were able to express clearly the idea behind the series and the intention of the series. 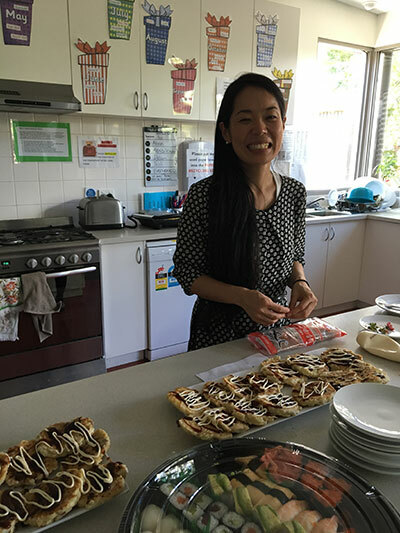 Lyn was here as a follow up to the Best of Both Worlds Program 2016-18, and her visit provided a way to further the work embarked on two years ago and her visit is a way of furthering the many transition opportunities between Primary and Secondary. It was wonderful to see the Grade 6 students in attendance because Rutherglen Primary School has also embraced the serie, teaching Zafir amongst other titles. Next year, these students will be able to look at another couple of books in the series in the Year 7 Communicate Program. 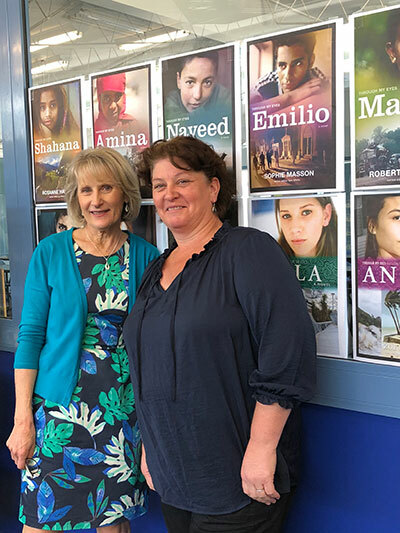 After discussing the excellent display of the work Year 7 have done with Hotaka, Jade Knight, English Learning Area Co-ordinator and Lyn have organised the purchase of a third novel in the series for next year. 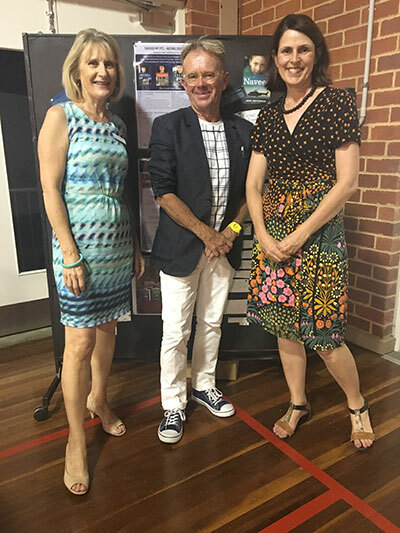 Prior to the release of Through My Eyes: Angel, author Zoe Daniel and series creator and editor Lyn White visited Ivanhoe Girls Grammar. Lyn had given a draft manuscript to Junior School Teacher Librarian Marissa Caluzzi who had prepared the students so well for Zoe’s visit. The students are fans of the Through My Eyes books. Zoe spoke to 120 year 5 and 6 girls about her experience as the ABC South-East ABC correspondent covering Cyclone Haiyan. She shared how this very moving and compelling time motivated and shaped the writing of Angel. The girls were very engaged and asked Zoe’s some very insightful questions. 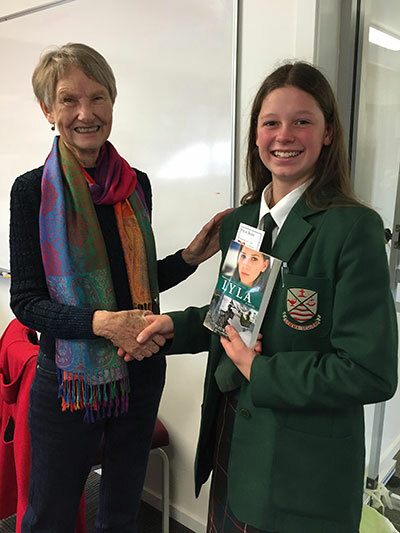 Fleur Beale visited Avonside Girls High School on Tuesday May 29 to speak to three classes about her work and her latest book. Lyla is set in Avonside and previous students had spoken with Fleur about their experiences during the earthquakes. Enthusiastic students listened as Fleur spoke about her books and passed on writing skills. Copies of Lyla were awarded to students who asked the most insightful questions. Lyla by New Zealand author Fleur Beale, published in March 2018, is the third book in the Through My Eyes – Natural Disaster Zones Series. 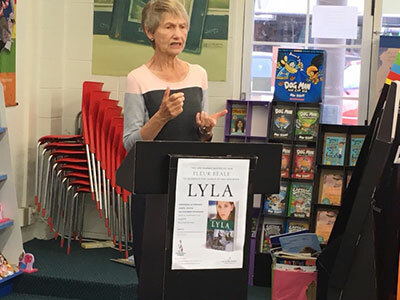 Lyla, set around the Christchurch earthquake was officially launched by Eirlys Hunter at The Children’s Bookshop in Kilbirnie, Wellington, New Zealand. Jenny Hellen, Publisher, Allen & Unwin New Zealand together with other children’s authors, friends and school librarians attended the launch. 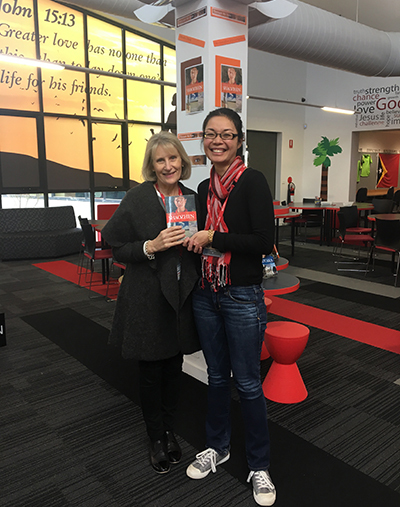 Shaozhen by Wai Chim, the second book in the Through My Eyes- Natural Disaster Series, was officially launched at Glen Waverley Primary School by Kirsten Sayer CEO of RedR, a leading humanitarian agency for international emergency relief. Kirsten shared her experiences of working in China and the role of RedR in first response disaster relief in the Asia-Pacific. Wai presented to the year 4 students who had been reading Shaozhen and conducted writing workshops with some very excited English as an Additional Language (EAL) students. 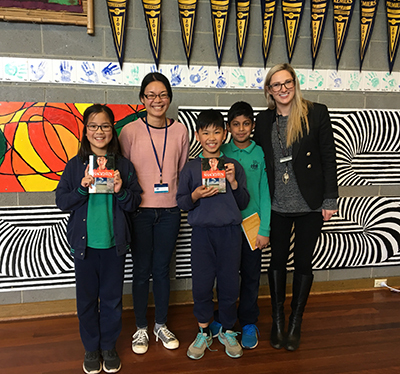 Lyn White, series editor and Wai Chim visited six Melbourne schools including Mount Waverley Primary School, Mount View Primary School, Hillcrest Christian College and Blackburn English Language School and Brunswick South West Primary School. It was a fantastic week celebrating Shaozhen and connecting with young readers full of enthusiasm for the Through My Eyes texts. Wai Chim with Rengying, cultural and linguistic checker for Shaozhen. 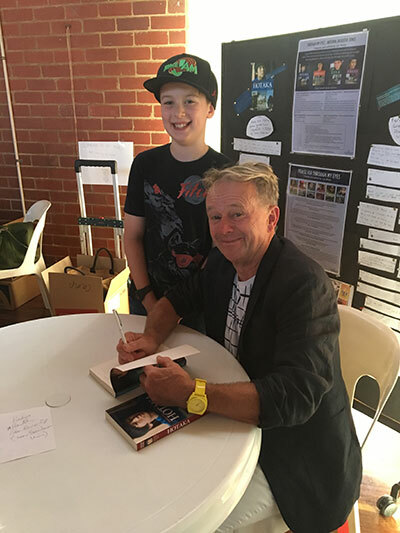 Over 200 students and parents at Brunswick South-West Primary School were certainly not going to miss the opportunity to meet their favourite author John Heffernan. John took on celebratory status as devoted fans lined up for author signings and a chance to speak with the man that created the amazing story of Hotaka. It was a truly exceptional experience for John and series editor Lyn White to see young and old so excited about reading. On Wednesday 8 March 2017 Nick Ireland, Manager of Specialised Technical Group, Save the Children officially launched the Through My Eyes - Natural Disaster Zones series. 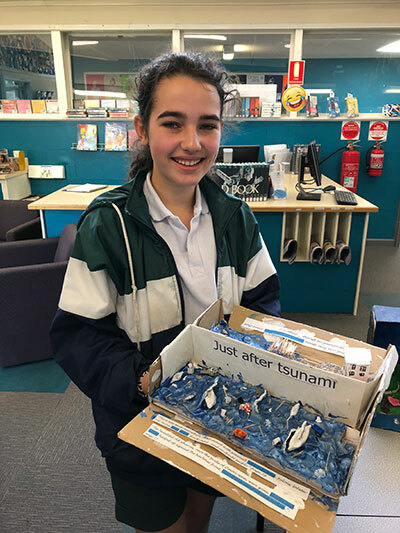 Judy Mraz, Director of Projects at Geography Teachers’ Association of Victoria outlined the curriculum relevance of the series and its potential for developing disaster preparedness and global empathy amongst young Australians. The invited audience enjoyed listening to John Heffernan and series creator and editor Lyn White in conversation. 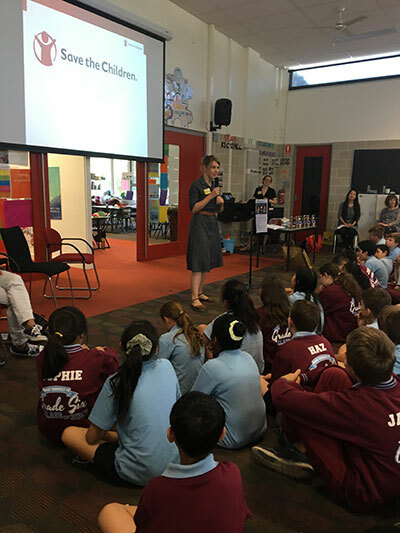 On Tuesday 7 March 2017 Kate McFarlane and Emily Dunstan from Save the Children officially launched Hotaka by John Heffernan at Mount Waverley Primary School in Melbourne’s south-east. 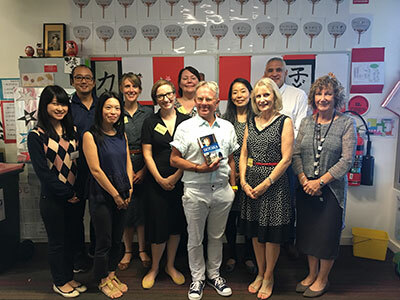 John Heffernan presented ‘LIVING WITH THE WAVE – An exploration of the tsunami through the eyes of one young Tokohu boy.’ to more than 200 year 5 & 6 Mount Waverley students and Japanese extension learners from Ashburton PS and Huntingdale PS. Cultural presentations by the students included a traditional Japanese tale and a delicious Japanese-inspired luncheon was shared in this wonderful celebration of Hotaka. Robert Hillman, author of Malini, spoke to year 10 students at Nossal High School in Berwick as part of a Humanities unit of work that focussed on the study of recent conflicts through novels. 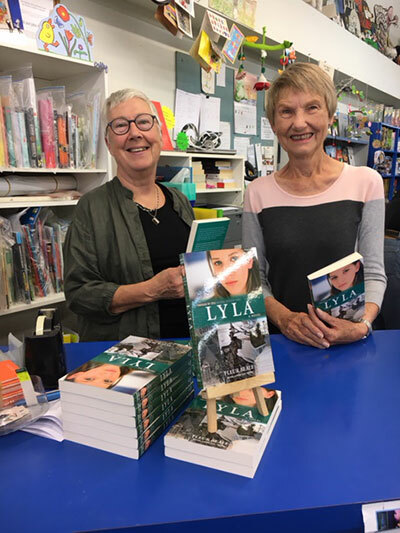 Shelly Warner, Law and Humanities teacher at Nossal High, had contacted Lyn White, series editor, to share her idea of developing the unit of work around the six books in the Through My Eyes series. Shelly was keen to use the Teaching and Learning Guides, which she felt could easily be geared towards 15-16 year olds. The year 10 students worked in groups to read a text from the series, participated in in-depth discussions and then created a variety of text responses. Students were challenged to explore the historical, geographical and cultural context of the novels and the local and global impact of the ongoing conflicts. The students shared some of their understandings with Robert Hillman who spoke about the background to Malini. To see some of the incredible student responses, click here. 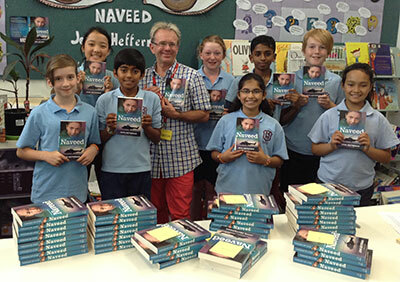 Naveed by John Heffernan was named Honour Book in the KOALA awards - the NSW children's choice awards. Lyn White, series editor, and Rosanne Hawke, author of Shahana, attended the 2015 YABBA awards at Sacre Coeur in Melbourne. Shahana was shortlisted in the year 7 - 9 category of the Victorian children's choice awards. 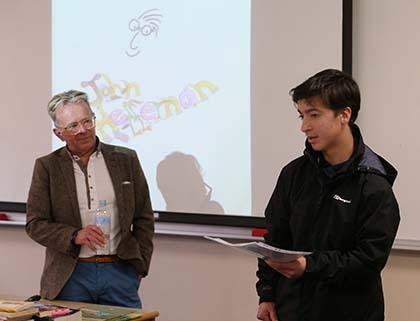 John Heffernan, author of Naveed, delivered a keynote presentation and workshop sessions to years 7 & 8 students at the 2015 Scotch College Festival. The students were captivated by John's sessions, and in particular, his description of his journey writing Naveed. Naveed by Robert Hillman and Shahana by Rosanne Hawke have both been nominated for the Victorian, NSW and Northern Territory ABBA awards. Naveed by John Heffernan has been selected as a state final text for the CBCA Queensland branch Readers Cup. Zafir by Prue Mason and Malini by Robert Hillman were also selected for the regional finals. Malini by Robert Hillman has named in the Children's Book Council of Australia notables list for 2015. This is the second title in this series which has been listed as a notable. 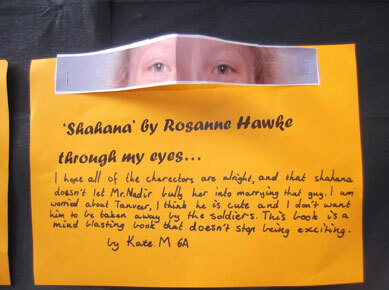 Shahana by Rosanne Hawke was named in the Children's Book Council of Australia notables list for 2014. Zafir was launched at Serpell Primary School as party of Harmony week. 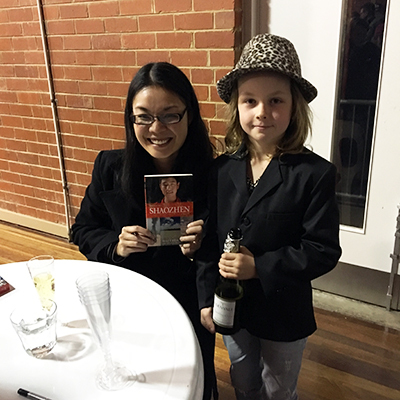 Read the wonderful article featured in The Age about the launch and the entire series here. 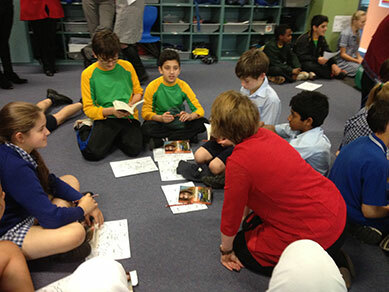 The launch included writing workshops with Prue and a middle eastern lunch prepared by the school's Islamic community. 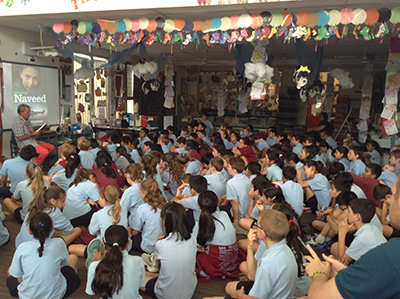 Visit the Serpell Primary School Blog to learn more about the visit. 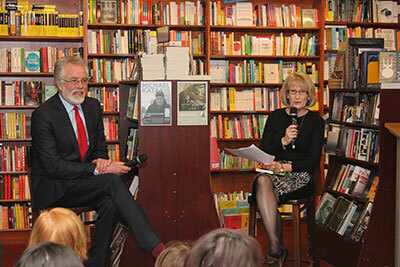 More than 50 people of all ages crowded into a great literary space at Readings Carlton to hear Lyn White (series editor) in conversation with Robert Hillman, author of Malini, the fifth book in the series. Using the motif of journey, Lyn guided the conversation to provide moving insight into both the author’s own journey in writing Malini and the plight of so many Tamils who were forced to flee their homes and suffer displacement and hardship within the wounded paradise of Sri Lanka. Robert shared some of the challenges of writing about such a brutal war for a young readership and his hope that Malini’s story would motivate us all to achieve a more just world. Two young friends of Roberts read extracts from Malini with great charm and confidence. There was a palpable jubilance as books were signed, congratulatory messages offered and poignant stories shared. A wonderful evening! Lyn White (series editor) recently presented at the Geography Teachers Association of Victoria’s (GTAV) Annual Conference 2014. Lyn demonstrated how well the Through My Eyes texts support AC Geographical Knowledge and Understandings for years 5 and 6. Lyn advocated the use of narrative as a powerful tool for learning – stories help students make sense of their own lives and those of others. Global education is committed to the realisation of the ‘ unity and interdependence of human society, developing a sense of self and appreciation of cultural diversity, affirmation of social justice and human rights, as well as building peace and actions for a sustainable future in different times and places” (Global Education, 2014). Lyn introduced teachers to the many excellent activities in the Teaching and Learning guides that have been prepared for each title and are available for download from this site. Lyn was subsequently invited to write her presentation for inclusion in the GTAV’s Interaction journal. Read the article here. 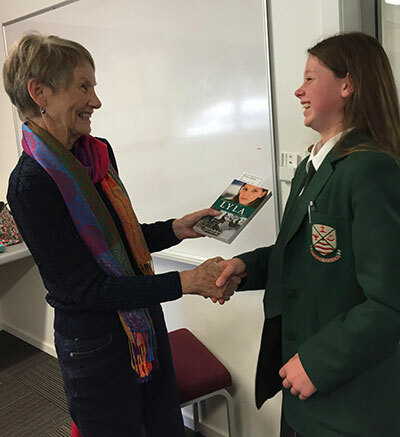 Lyn White (series editor) welcomed the 150 year 8 students and introduced the Through My Eyes series. Nathan Mullins, ex-Australian Army Special Operations Task Force officer and author of Keep Your Head Down, launched Naveed, the third book in the Through My Eyes series. 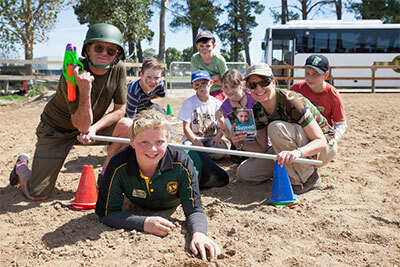 Nathan currently works in many countries as a Security and Risk Advisor with Australian Volunteers International. He praised John Heffernan for creating a sensitive uplifting account of life in the warzone of Afghanistan. The students were captivated as John Heffernan shared his journey of writing Naveed. Students questioned both Nathan and John on a range of related issues. John conducted a writing workshop with a select group of students. 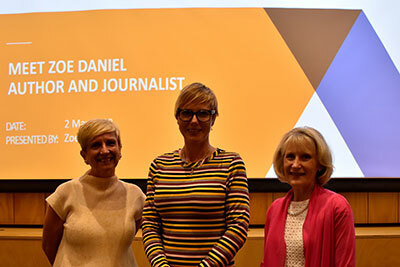 Di Wilson (Head of Libraries and Information Services at Caulfield Grammar) commented that it was the best author-led workshop the library had organised. 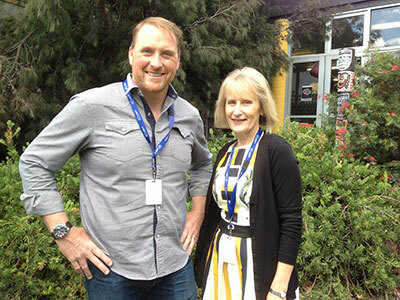 John and Lyn also visited Hillcrest Christian College in Berwick and Mount Waverley Primary School. John spoke to almost 1000 students over the three days. Heather Zubek and Michelle Nye (Discovery Centre teachers at Hillcrest College) created a fantastic military-themed day complete with a boot camp and army ration lunch. 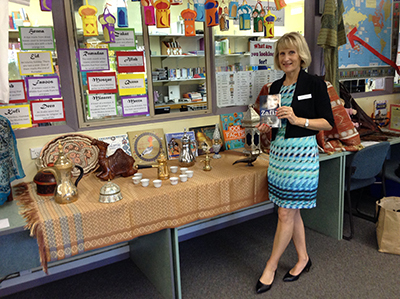 Jacqueline Griffeth (Mount Waverley Primary Teacher-Librarian) was thrilled with the enthusiasm shown by the 5/6 students who are currently reading Naveed. On Monday 28 October Rosanne Hawke and series editor Lyn White attended the Building Harmony Project 2013 Shared Literary Activity day. The project is a partnership between Windermere Child and Family Services, Cardinia Shire Council, and Monash University. Participating schools include Berwick Grammar School, Maranatha Christian School, Minaret College, Officer Primary School and St Brigid’s Catholic Primary School. 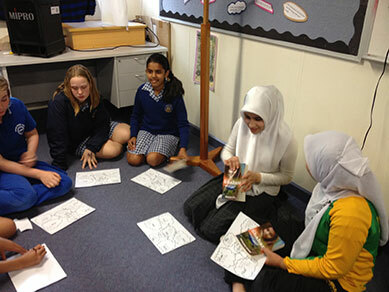 Australian Community Foundation (auspicing organisation of philanthropic group Sunshine and Crocodiles Pty Ltd) has funded the project to support the participating schools to embrace cultural diversity, with an expected change of demographics to occur within the Cardinia Shire over the next 10 years. The schools that attended were Officer Primary School, Maranatha Christian School, St Brigid's Catholic Primary School and Minerat College. A group of students from each school had selected Shahana as the text for discussion. Rosanne and Lyn White attended this gathering held at Officer Primary School. Over eighty year 5 and 6 students had read Shahana and prepared responses to the text which they shared with each other throughout the morning. Rosanne gave a wonderful session on writing Shahana that was very well received by students and teachers. The students' responses to the text were positive, insightful and had great poignancy. 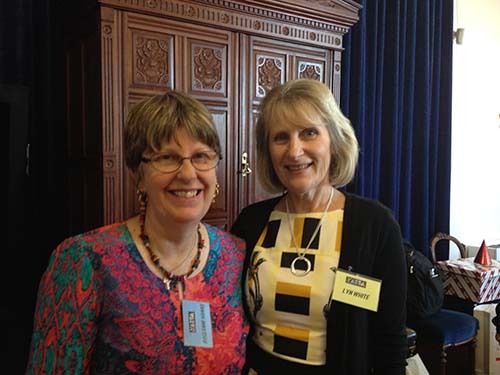 Lyn White (series creator and editor) presented a concurrent session entitled 'Supporting the Australian Curriculum. Through My Eyes: using literature to engage students with contemporary conflict zones' at the ASLA national conference in Hobart Tasmania on the 30th September 2013. 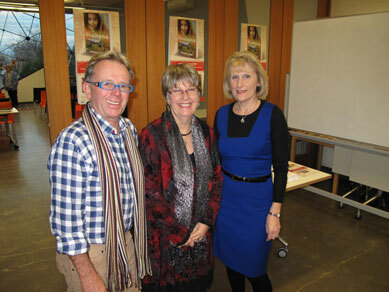 Lyn outlined the background to Through My Eyes and demonstrated why the series is a wonderful gift to teachers and librarians – the series supports the Australian Curriculum across English and Geography learning areas and provides a powerful literary catalyst for discussion of many contemporary issues. Lyn introduced librarians to the Teaching and Learning Guides for Shahana and Amina. She received an overwhelmingly positive response from the audience who praised the series concept, the relevance of Shahana and Amina and applauded her passionate delivery of the engaging session. Many librarians were already familiar with the series and were very keen to start using the guides. It was my great pleasure to chair Lyn White’s session – Through my eyes: using literature to engage young readers with contemporary conflict zones – at the recent Australian School Library Association (ASLA) Conference in Hobart. Lyn told a very engaged audience of her decision to change careers, her subsequent creation of the six-book Through My Eyes series and its partnership with UNICEF. Lyn’s very extensive teacher notes (linked to the Australian curriculum) are a beautifully packaged gift for teachers and teacher librarians and the audience were keen to show their appreciation in the discussion that followed. 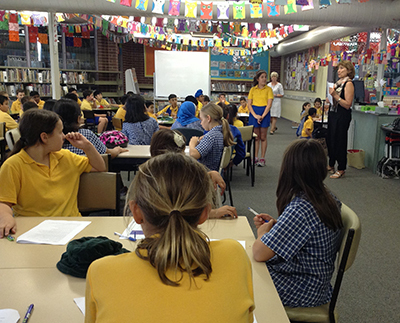 Rosanne Hawke and Lyn White spoke at Mount Waverley PS during the week of the book launch of Shahana. Below is a sample of the many posters that the children in Years 5 & 6 created from reading Shahana. The event was launched by Dr David Corlett, with speakers Lyn White (series editor), Rosanne Hawke (author of Shahana, book 1 in the series) and John Heffernan (author of Naveed, book 3 in the series). The theme of the night was stories. All the speakers mentioned the power of individual stories to allow us to empathise with others; and the importance of telling the stories of children in conflict zones. 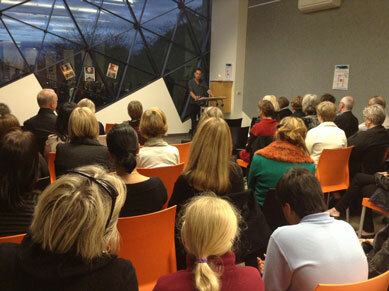 In Dr David Corlett's speech, he said, "Stories bridge the emotional gap between 'us' and 'them'... I congratulate you." Dr David Corlett addressing the audience. 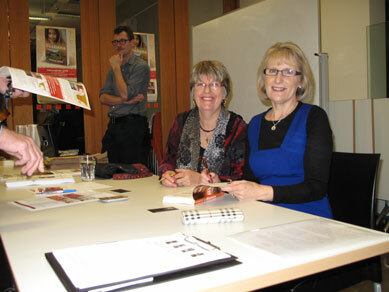 Rosanne Hawke (L) with Lyn White (R), signing books on the night. 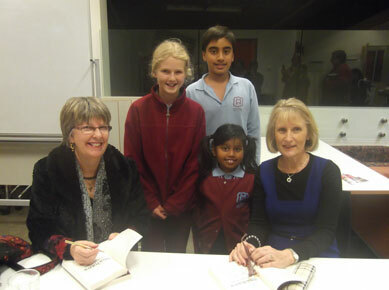 Rosanne Hawke and Lyn White with the winners of Mount Waverley PS's annual writing competition. The winners were invited to attend the launch as part of their prize. 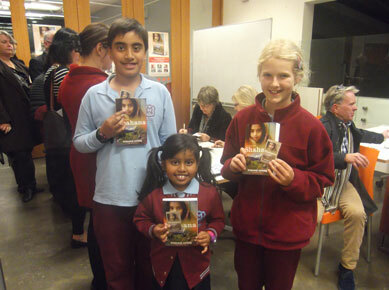 The winners of Mount Waverley's annual writing competition at the launch. Congratulations!